Ferrari 488 GTB is known for groundbreaking performance, exceptional styling, and remarkable safety. Although the designer, Flavio Manzoni, chose to go with function over form; the design, in no way, falls short of expectations. The 488 comes with exceptional features, but they come at a price. If you too have a longstanding wish to own a Ferrari but have been restricted by finances, check out the salvage cars for sale listed at AutoBidMaster.com. Continuing on the subject, in this blog, we discuss some of the highlights of the Ferrari 488 GTB, that make it worth every cent of your investment. Read on. The 488 is equipped with a 3.9-liter turbocharged V8 mid-rear engine that produces 670 horsepower and 600 lb-ft torque. A dream machine for every car enthusiast, the beast can go from 0 to 60 in just 3 seconds with a top speed of 205 mph! As far as fuel economy goes, you can expect approximately 12 mpg in city conditions and 22 mpg on highways. 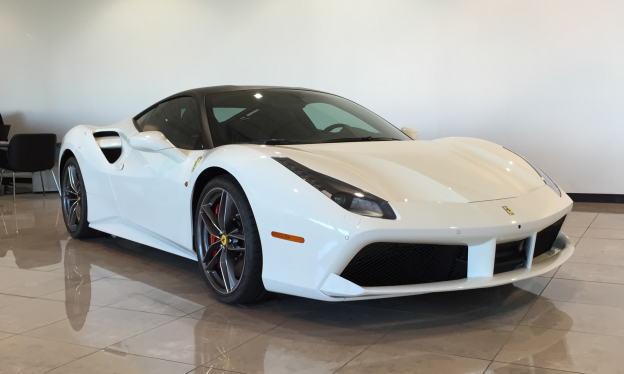 If you are on the hunt for a sports car that offers exhilarating performance, explore the inventory of damage cars for sale at AutoBidMaster, and buy the 488 at an affordable price. The Ferrari 488 GTB features sculptural flanks and large air intake scallops that is divided into two sections by a splitter. The front of the 488 is equipped with a dual grille opening that channels air into the radiator. Two pylons combined with a deflector channel air towards the flat underbody that helps the 488 reach top speed effortlessly. The 488 is styled to turn heads on the road. Along with stunning and absolutely breathtaking exteriors, the interiors are designed to combine the focus of a Formula-1 car with a luxury of a seven-star hotel. The 488’s interiors exude sportiness without sacrificing on comfort and space. The car also features brand new door panels with comfortable armrests. Besides being a speed vehicle with spacious and comfortable interiors, the 488 is equipped with an array of advanced safety features, such as parking assist, illuminated entry, low tire pressure warning, keyless access system, LED brake lights, and ignition disabling system. Other features include directionally adaptive headlights, fully automatic exterior light control, and ABS and driveline traction control. The Ferrari 488 tops the charts when it comes to safety too. The 488 is equipped with standard bluetooth compatibility, navigation system, MP3 compatibility, AM/FM radio, and auxiliary input jack. In addition to the standard features, it also comes with a 6-speaker and a 1280-W premium amplifier. The 488 also has a glove mounted 6-CD player, with two 1st row LCD screens. If you are looking for a damage car for sale, the 488 deserves to be in your shortlist. AutoBidMaster offers a wide pool of damage car for sale, along with the information needed to make informed buying decisions. If you have any questions regarding our process, simply call +1 (503) 298-4300 or fill out our contact form, and we will get back with you, shortly.